What’s Coming Next? Be a part of the conversation. Join us to provide feedback on our site plan, home designs and floorplans for the next phase while enjoying some tasty treats and local wines. All are invited. We look forward to seeing you there! SCHEDULE 6pm – Arrive and connect with friends and residents of Grow Community. Learn whats coming next. 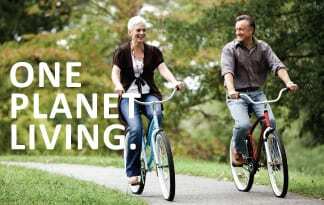 6.30pm – Grow team member and sustainability expert, Greg Lotakis will discuss One Planet Living. 6.45pm – Local, internationally acclaimed, Architect and the newest member of the Grow Team, Jim Cutler, will present our new concept in the context of livable communities. 7.15pm – Connect and provide feedback on home designs, floor plans and the community concept as a whole. Grow Community is a new urban One Planet neighborhood on Bainbridge Island, just a 35-minute ferry ride from downtown Seattle. With beautifully designed solar-powered homes, shared community gardens and clean transportation options, Grow allows all generations to enjoy a high-quality and healthy lifestyle.